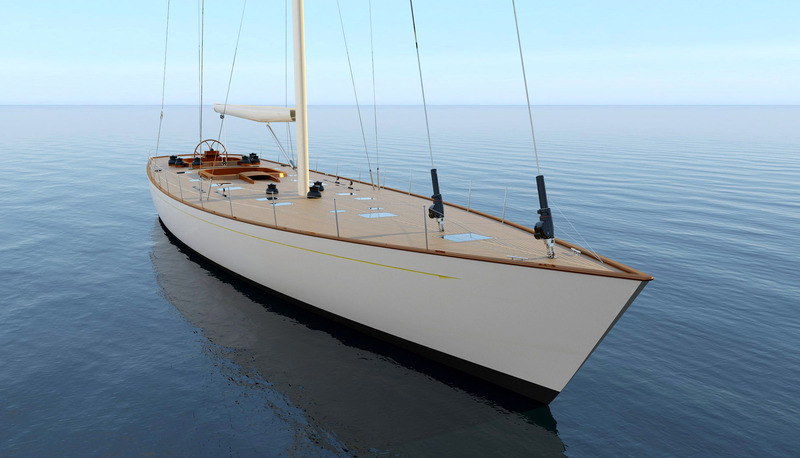 A larger sister to the 91’ flush deck sloop SONNY III, the 108’ incorporates the same double head rig for improved performance with reduced sailing loads. Twin cockpits separate the social center from the working cockpit for safety. Low cockpit coamings and flush hatches result in a very clean look on deck. The full beam master stateroom is located forward of the mast with generous ensuite head incorporating twin sinks. 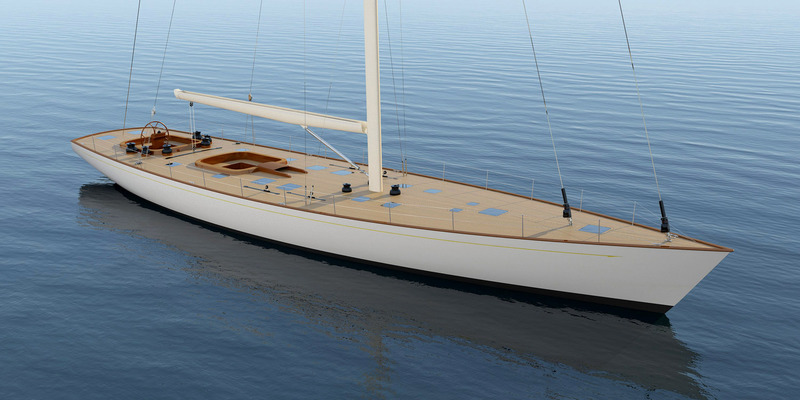 Two additional guest cabins are located abreast the mast each with ensuite heads. The port side guest head will do double duty as the day head with discreet passageway door and entrance through the shower. 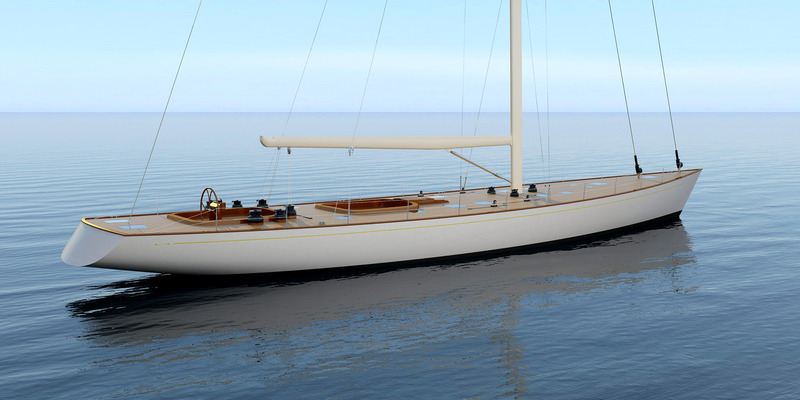 The generous salon includes a dining table for six to port with a lounge area to starboard. A navigation station is located just forward of the captain’s cabin on port. A small wet bar is located just forward of the galley. 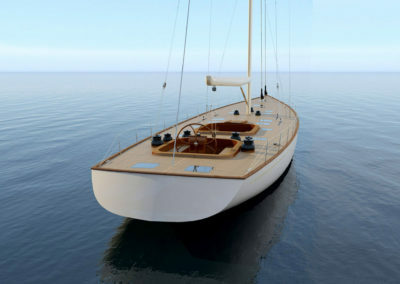 There is a generous galley on port with an adjacent crew cabin for a chef and deckhand. Construction is to be cold-molded laminated wood utilizing WEST SYSTEM epoxy resin and vacuum bagging techniques, which is the yard’s standard practice. 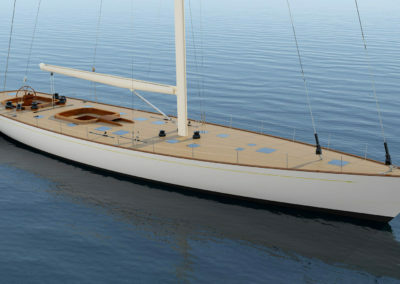 Mast and boom are to be of carbon fiber. 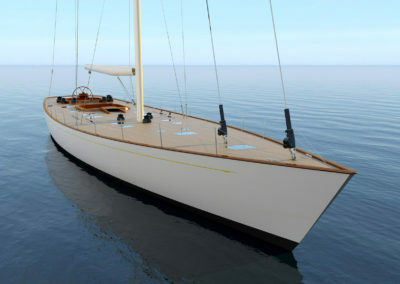 Sail handling will be fully hydraulic with headsail furlers and in-boom furling. 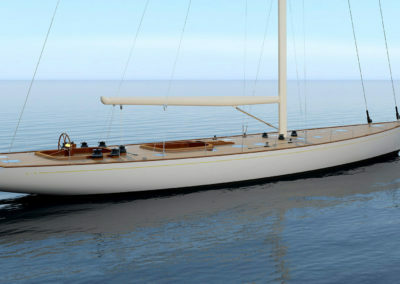 The carbon fiber spade rudder is to be controlled by conventional chain/cable steering for optimal steering feedback. 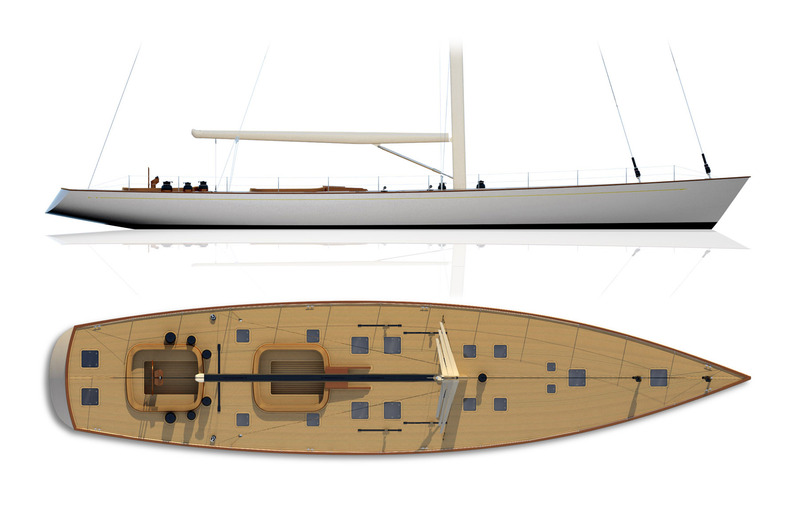 A deep fin keel with lead bulb will provide upwind pointing ability.